The holidays just got a whole lot scarier. Universal Studios Hollywood has announced “Holidayz in Hell” their first original maze for Halloween Horror Nights 2019. The announcement came from the official Halloween Horror Nights Twitter account, ac you can see above. The new house will be based on a scarezone by the same name featured in last year’s event. 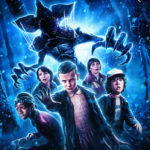 This is the first original maze announced for this year’s event on the west coast and second maze overall, after the return of the hit Netflix series Stranger Things was announced for both Universal Studios Hollywood and Universal Orlando Resort last month. The Stranger Things maze will be based on the second season as well as the upcoming third season. Halloween Horror Nights begins on Friday, September 13 in Universal Studios Hollywood. 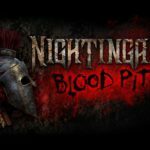 On the east coast, “Nightingales: Blood Pit” was announced for Halloween Horror Nights 29 at Universal Orlando Resort. Halloween Horror Nights begins on Friday, September 6 in Universal Studios Florida. Universal Orlando announced the return of a very popular ticket offer, giving guests a chance to purchase a one-night ticket and get a second night free. Last year, Universal Orlando celebrated “Stranger Things Day” on November 6 by opening their haunted house based on the Netflix series for guests to get one last scream. 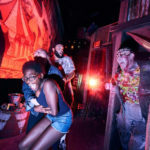 Think you know Halloween Horror Nights? Put your knowledge to the test with our quiz. 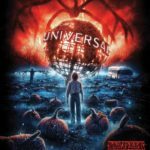 Take a look back at last year’s Halloween Horror Nights with videos of the event at Universal Studios Hollywood and a comprehensive ranking of all 10 houses at Universal Studios Florida.